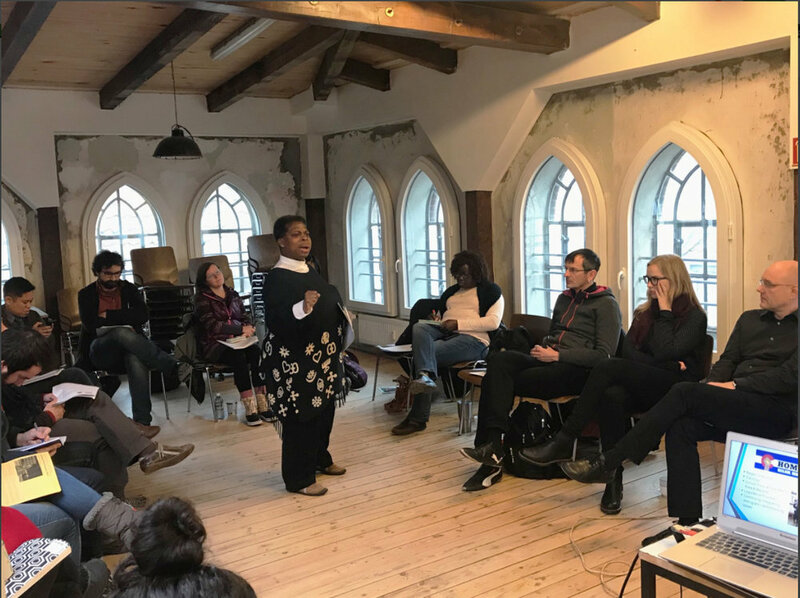 Community advocate for the homeless, chaplain and former client at Urban Pathways; DeBorah Dickerson is traveling to Hamburg, Germany this month to continue her advocacy on homelessness at the Right to the City Alliance - Transatlantic Workshop. Dickerson, being sponsored by fellow nonprofit Picture the Homeless will speak on a panel of 10 women of color from various backgrounds covering a wide range of topics from: race, migration to democratic governance. Upon her return, DeBorah plans to take the information she has learned on alternative housing methods and theories on universal rental control and present it to the New York City Coalition for Continuum of Care Consumers Committee, which meets in Harlem. DeBorah believes it is important to know and understand the population you intend to help and looks forward to speaking at more conferences, panels and workshops; both domestically and internationally. Follow the workshop panels on twitter. Urban Pathways is a New York City-based, nonprofit organization that provides housing and support to homeless and at-risk adults throughout the New York Metropolitan area. Urban Pathways serves more than 2,000 homeless individuals a year and provides transitional, extended stay and permanent housing to chronically homeless individuals. www.urbanpathways.org.